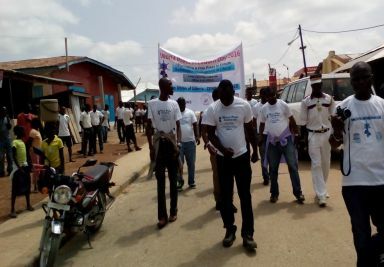 (Monrovia, April 28, 2018)- Maryland County will host the 2018 World Press Freedom Day (WPFD) Liberian celebration as part of ongoing efforts to copiously strength the country’s democratic qualities to the World. The Harper Events are expected to attract the media, civil society activists, the academia, and government representatives. The WPFD events are scheduled to cover field trips to Grand Kru, Maryland, and River Gee. An awareness or outreach on the works and significance of the National Media Council and a Special Edition of the Edward Wilmot Blyden Forum will be held on the Low Southeastern Content in the Liberian Media Wednesday, 2 May 2018. The World Press Freedom Day Main Event will feature speeches, and tributes to media professionals who risked or lost their lives in the line of duty. During the celebrations of World Press Freedom Day, the Press Union of Liberia is calling on the government led by President George M. Weah to join the Journalism Community in Liberia in championing the repeal of anti-free speech legislations in the country. The Union averred that the repeal will serve as the first step to the start of the long-sought improvement of the legal operating environment of the media in Liberia. A Draft Act to transform the State owned Liberia Broadcasting System (LBS), Broadcast Regulatory Bill and other proposed illegal instruments concerning the media are still before the Legislature for passage. 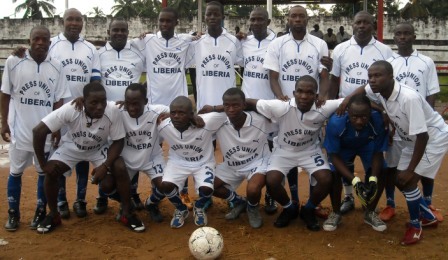 “Deepening the Strives to Fully Report Liberia”, the theme for the WPFD 2018 celebrations in Liberia resonates with the role of the media in ensuing development and as well sustaining it at all levels while underpinning the growth of democracy through the promotion of transparency, accountability and the rule of law. This year’s celebrations of World Press Freedom Day will be held under the global theme: Keeping Power in Check: Media, Justice and The Rule of Law. The global theme of the 2018 celebration highlights the significance of on ongoing efforts across the world to improve the legal operating environment of the media and draw special attention to the role of an independent judiciary in ensuring legal guarantees for press freedom and the prosecution of crimes against journalists. Meanwhile, all members of the Press Union of Liberia desirous of making the trip to Maryland County are advice to be at the Union’s Headquarters before 7am prompt.